A sleepy taro-farming town with an historic church and impressive view of the enormous Lower Waikani Falls. In a nutshell: A sleepy taro-farming town with an historic church and impressive view of the enormous Lower Waikani Falls. 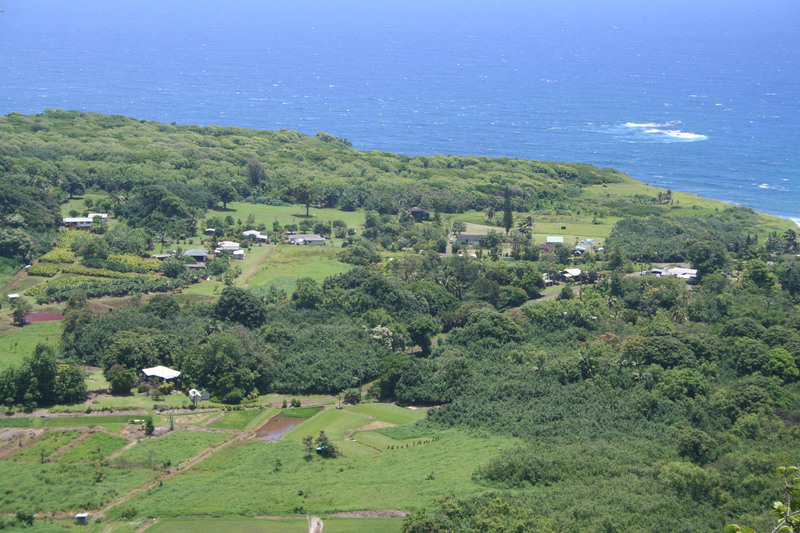 Wailua is a small village offering little for visitors than a diversion off the highway to take a few peeks at the large Lower Waikani Falls in the distance. The falls are an impressive sight, and to imagine people live with that view when they let the dog out of the back door is surreal.